Michael Rich, MD, MPH, is Associate Professor of Pediatrics at Harvard Medical School, Associate Professor of Social and Behavioral Sciences at the Harvard School of Public Health, and practices Adolescent Medicine at Boston Children’s Hospital. He is the Founder and Director of the Center on Media and Child Health (CMCH) as well as a pediatrician, researcher, father, and media aficionado. As The Mediatrician®, Dr. Rich offers research-based answers parents’, teachers’, and clinicians’ questions about children’s media use and implications for their health and development. Ask the Mediatrician® provides information and strategies that are balanced, practical, and based in scientific evidence from the Database of Research (soon to be relaunched as Mediatrics), the comprehensive CMCH library of rigorous science from more than a dozen academic disciplines that address the effects of media on health and human development. Dr. Rich came to medicine after a 12-year career as a filmmaker (including serving as assistant director to Akira Kurosawa on Kagemusha). His current areas of health research and clinical work bring together his experience and expertise in medicine and media. As a researcher, Dr. Rich is the Principal Investigator of the Manchester Media Study, a longitudinal prospective study following a heterogeneous cohort of youth in a small New England city, comprehensively measuring their media exposure and related health and developmental outcomes on an annual basis. Dr. Rich was honored by the Society for Adolescent Medicine with their New Investigator Award in 1998 for developing a media-based research methodology, Video Intervention/Prevention Assessment (VIA), which explored the illness experience through patient-created “video diaries”. The innovative child health research he has produced using the VIA method has been featured on ABC World News Tonight, Primetime with Diane Sawyer, and National Public Radio, among others. 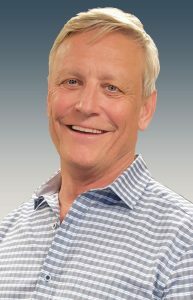 From his perspective as a clinician and researcher, Dr. Rich has authored or co-authored four policy statements on media and child health for the American Academy of Pediatrics (AAP) and has written and presented testimony on media and child health to a variety of legislative bodies ranging from the Chicago City Council to U.S. Congress. He has received the AAP Holroyd-Sherry Award for contributions to knowledge and policy addressing children’s and adolescents’ use of media, served as the AAP’s Media Visiting Professor at the University of Michigan, received the Peace Islands Institute Media Award for excellence in the field, the Family Online Safety Institute Award for outstanding achievement, and is the 2017 Litt Visiting Professor of the Society for Adolescent Health and Medicine. Cognizant of the potency of the image and of the primacy of electronic and print media as a source of information and influence, Dr. Rich studies media as a force that powerfully affects child health and behavior and uses media as a tool for medical research, education, health care policy, and patient empowerment.